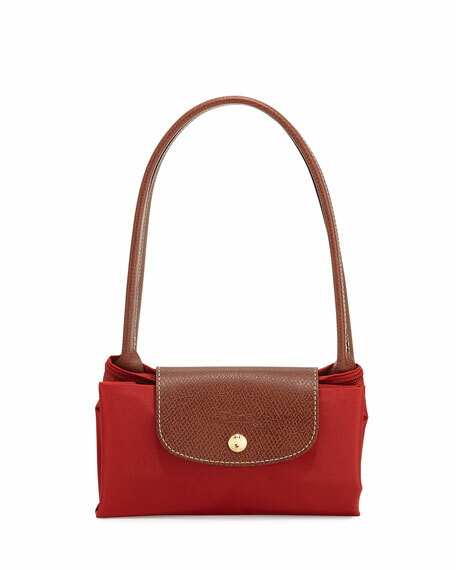 Longchamp tote in durable, lightweight nylon. Rolled top handles, 7.5" drop. Interior, water-resistant lining; one slip pocket. 9.8" H x 15" W x 5.5" D; weighs 8.6 oz. Bottega Veneta tote bag in signature intrecciato woven lambskin, updated with mixed angles. Signature brunito brass hardware. Chain strap with leather padding, 8.7" drop. Open top with snap closure. 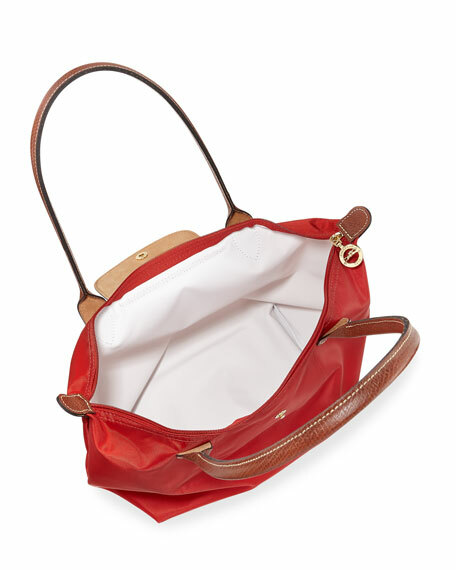 Interior, suede lining; center zip compartment; one zip and one open pocket. 9.5"H x 12.6"W x 4.7"D. Made in Italy. Eric Javits tote bag in woven signature Squishee?? material with leather trim. Exotic-embossed flat shoulder straps. Recessed, extended zip top closure. Exterior, logo at center front. Interior, grosgrain lining; key clip. One zip and one slip pocket. 10"H x 12"W x 6"D. Imported.